Eat Cake!– A mere glance at the specialty cakes on display in this local shop is sure to make your mouth water! Eat Cake! specializes in creating every type of cake imaginable – from elaborate, elegant cakes to ridiculous, non-traditional masterpieces. 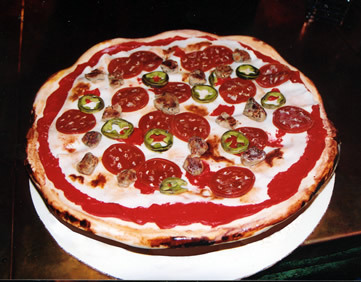 Yes, to your left, that is a cake, that LOOKS like a pizza! Harley Davidson - A great community partner located in the neighborhood, works with neighbors on a number of great projects. One of the most recent was an Energy Fair to help neighbors save money in their homes. Participants received door prizes and 12 compact florescent light bulbs. Miller Brewing Company Tour– Nothing beats a free tour of the Miller Brewery, the crown jewel of Brew City. Visitors of all ages are treated to a video, a tour the bottling center, a climb up to the brew house and a stroll through the historic Miller caves before sampling the beverage that made Milwaukee famous. Kids are treated to an alternative beverage – root beer. 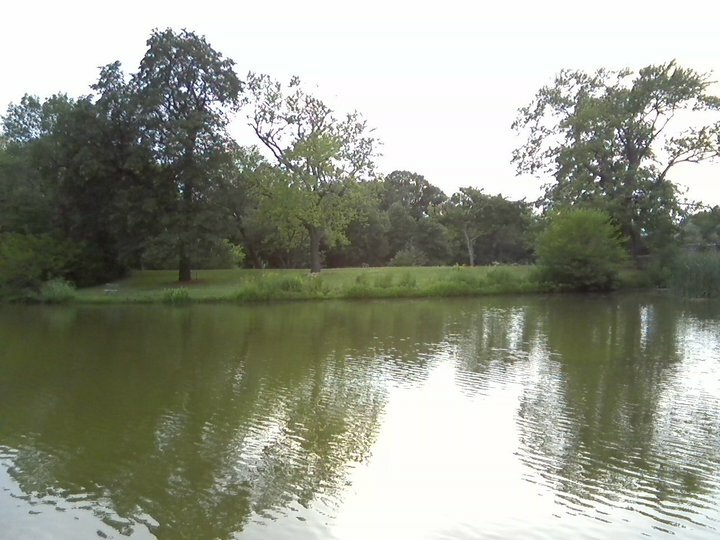 Urban Ecology Center– Located on the edge of the Washington Park Lagoon, the Urban Ecology Center uses its “outdoor laboratory” to teach members of the community about the environment in an urban atmosphere. The center is open 6 days a week and offers activities like a guided tree trek, canoeing, fishing, snowshoeing and ice-skating. Rosebud and Times Cinema- Feature vintage movies as well as the newest releases. Washington Park – Washington Park is one of three parks in Milwaukee that are part of “The Grand Necklace of Parks” envisioned and designed by the famed landscape architect Fredrick Olmstead at the turn of the 19th century. The former site of the Milwaukee County Zoo, Washington Park is home to an Urban Ecology Center, a public pool, an enormous bandshell, a senior center and a large lagoon teeming with wildlife. Washington Park also hosted a number of events like Washington Bark Dog Day! Washington Park Library– This beautiful library is largest and newest of city libraries. The library is peaceful, quiet, delightfully refreshing. A wall of windows offers a park view and natural light to wash the pages of books and magazines as you preview them. The library is home to a collection of over 80,000 materials, which include current dvds, feature films, popular music on cd, audiobooks and dc roms. 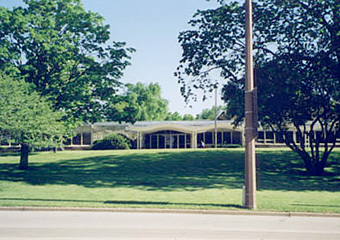 Patrons can request materials from any other public libraries in the city or Milwaukee suburbs. Washington Park Senior Center – The senior center, managed by Interfaith Older Adult Programs and funded the Milwaukee County Department on Aging, is a terrific resource for adults “50 or better”. 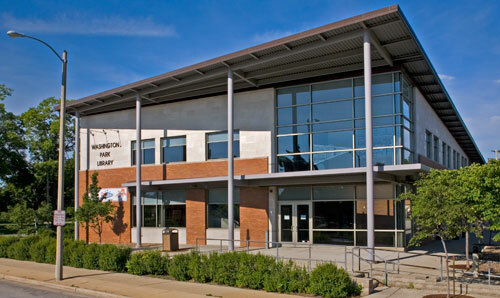 The center provides special facilities and programs such as a woodshop, a fitness center, computer classes, yoga lessons and art instruction, all provided for free or a for a nominal fee. 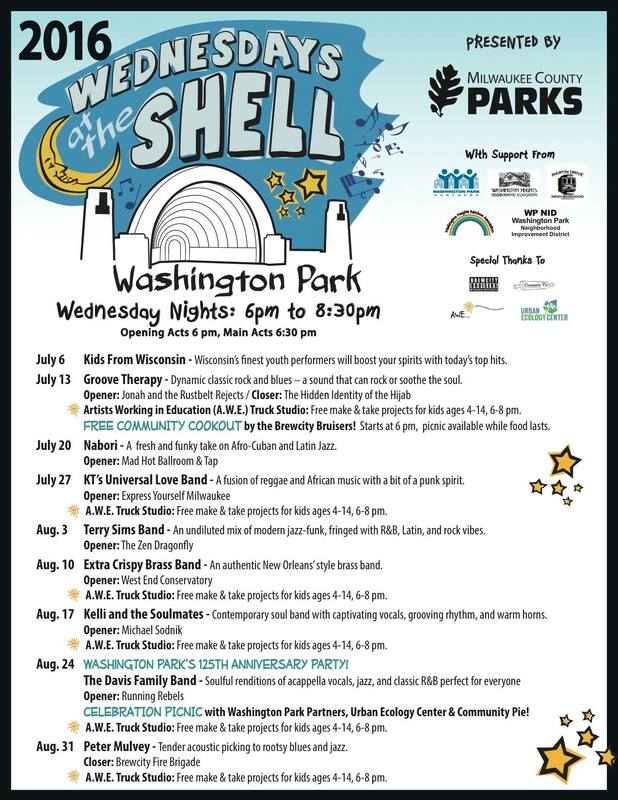 Wednesdays At the Shell– Wednesday Night Concert Series– Milwaukee County Parks sponsors a weekly concert series at the Blatz Temple of Music Bandshell in Washington Park all from June to August. 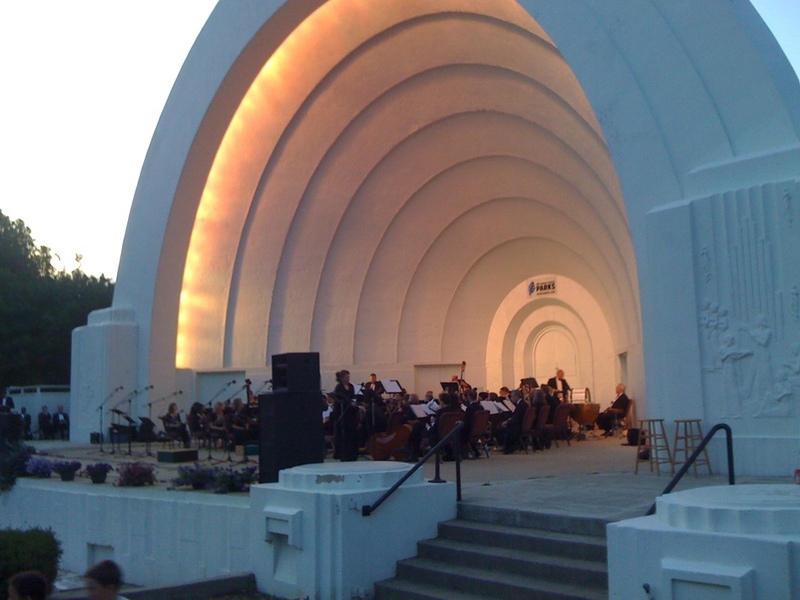 The beautiful amphitheater is known for deco splendor, spacious seating, fine acoustics and idyllic setting next to the idyllic lagoon. 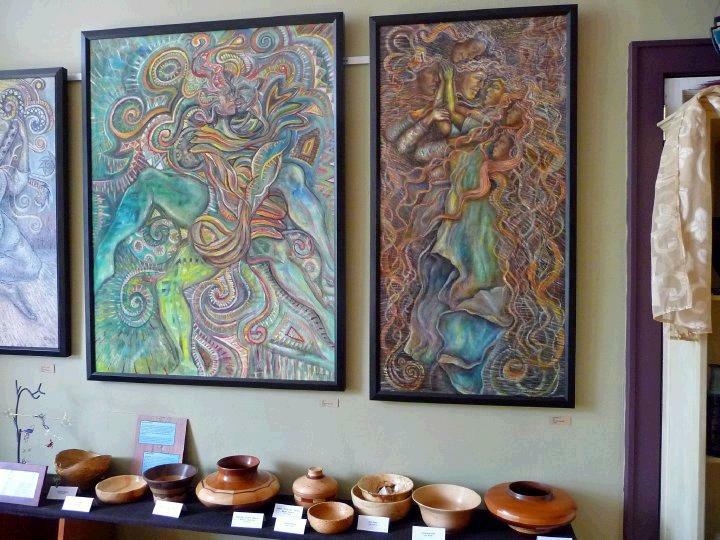 Westside Artwalk - A biannual event held in April and September is supportive of the arts and economy by offering exposure of local artists’ works while creating interest and vibrancy of our local businesses. 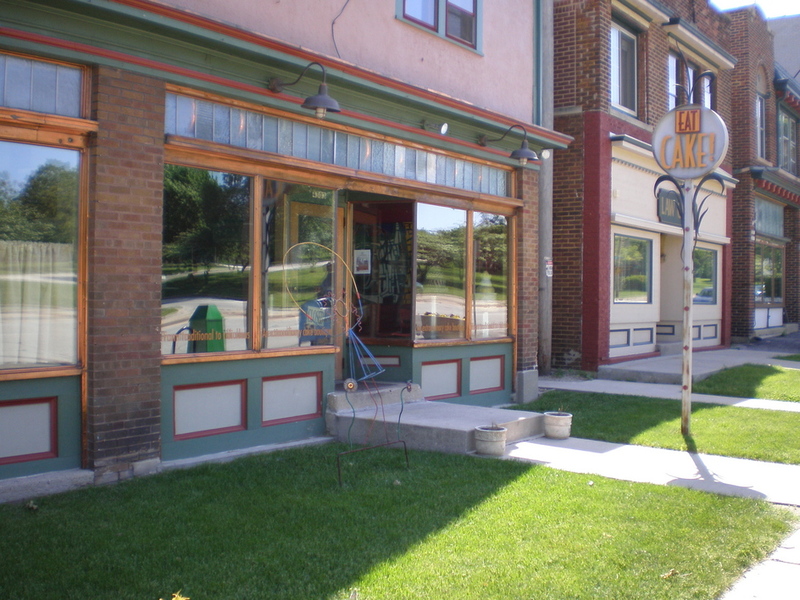 Visit Vliet Street, from 60th to 43rd, the Village, and other Wauwatosa locations. Over 35 locations will feature art, entertainment and special events. 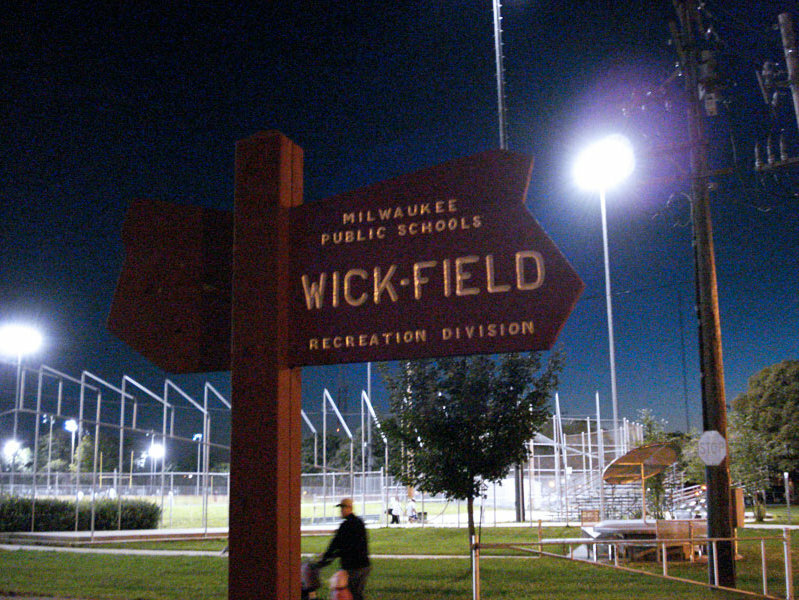 Wick Field – One of the largest outdoor sport centers in Milwaukee County, Wick Field is outfitted with a number of tennis courts, baseball diamonds, football and soccer fields. Wick field is home to a number of intramural sports leagues, from kickball to flag football.